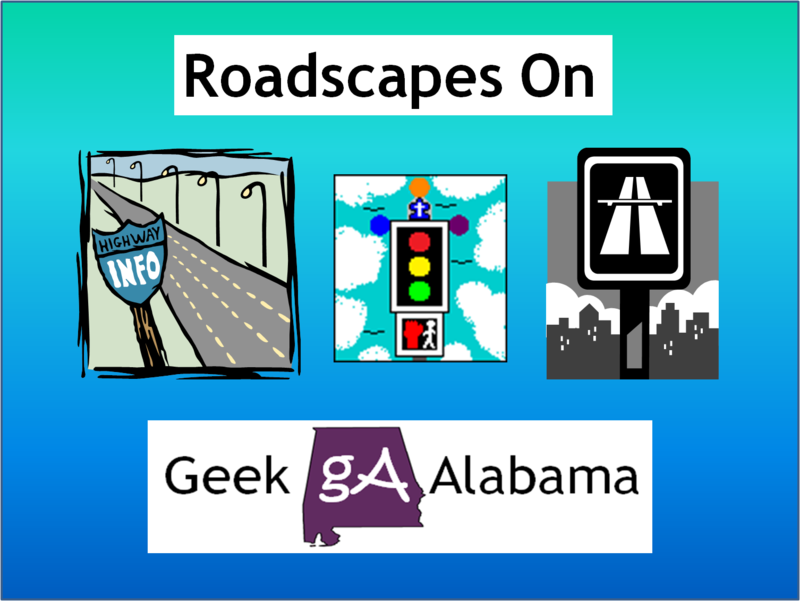 Since this is birthday week I wanted to do two Roadscapes Wednesday’s. 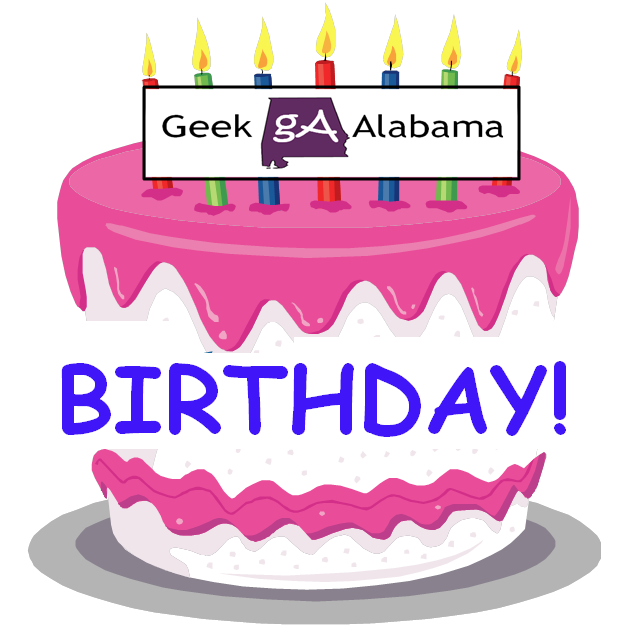 This post is going to concentrate on several traffic light intersections that are malfunctioning! 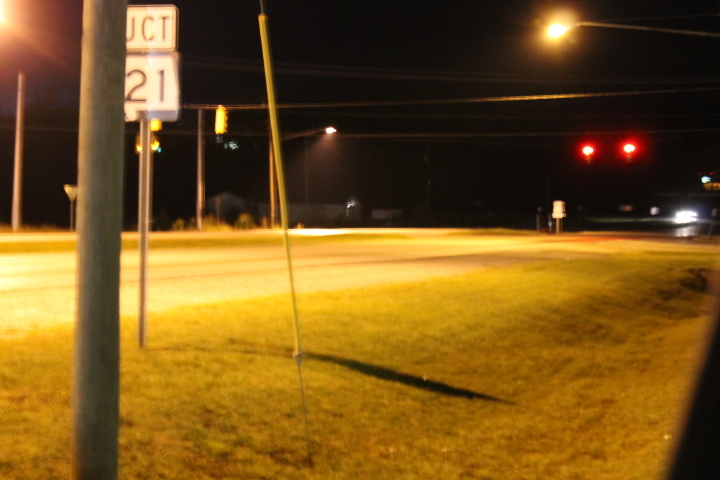 Most of these intersections has a sensor in the road that is broken. 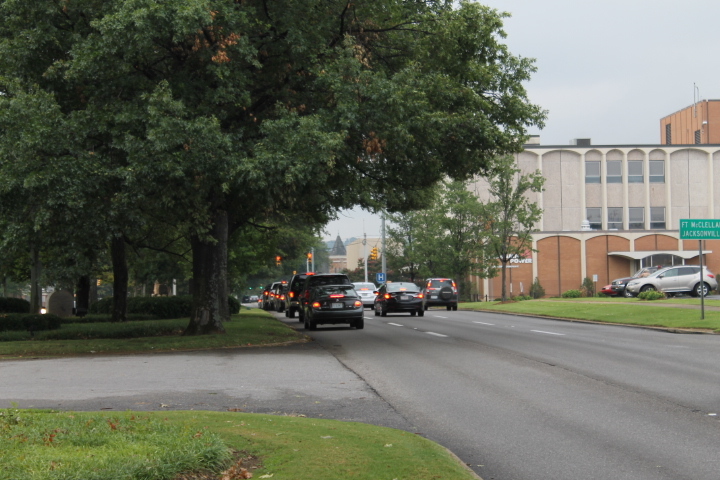 One intersection has a pedestrian button that is broken causing the ped signal to go to walk at each cycle. 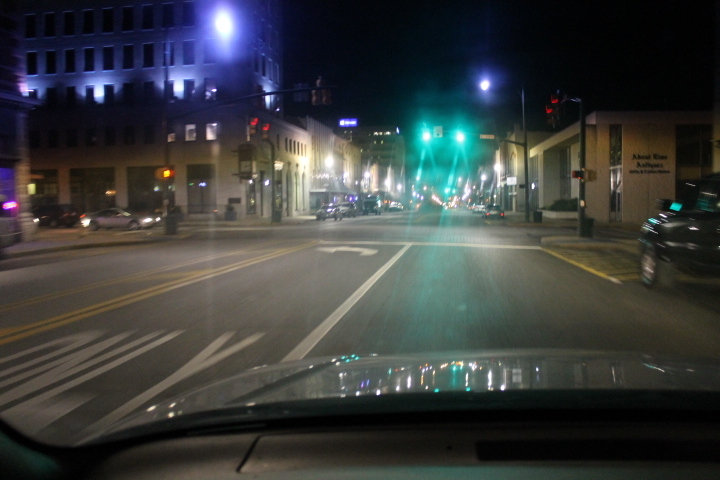 I took pictures and videos after midnight when the traffic light synchronization goes off which makes each traffic light intersection go by itself. 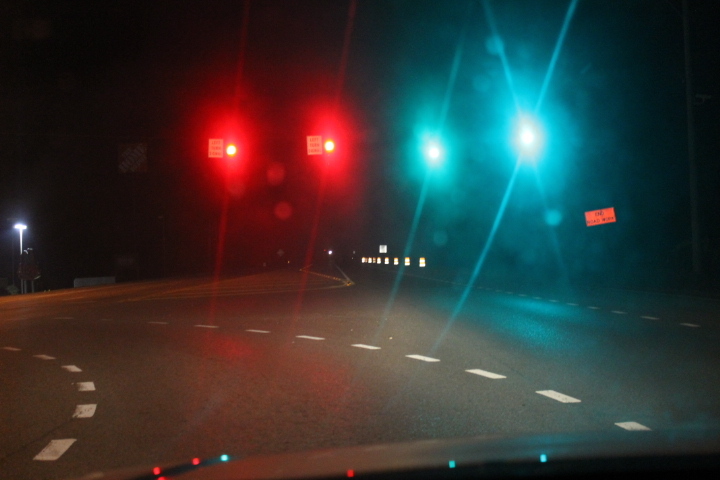 So it’s very easy to spot any problems with the traffic lights. 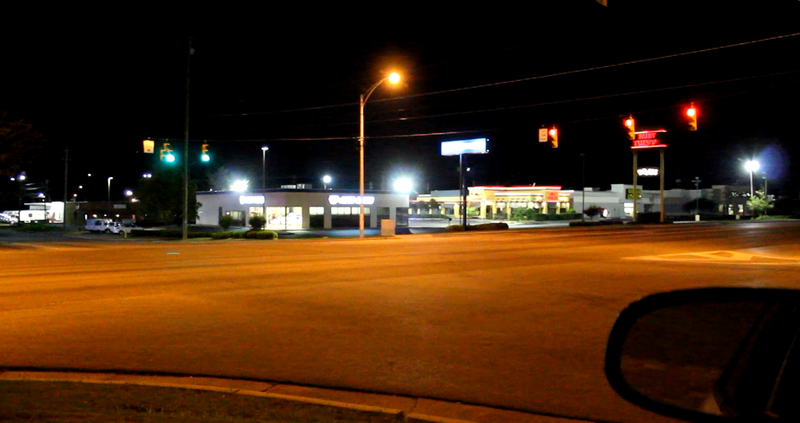 Let’s start with the video of the Anniston/Oxford area lights that are broken/malfunctioning. 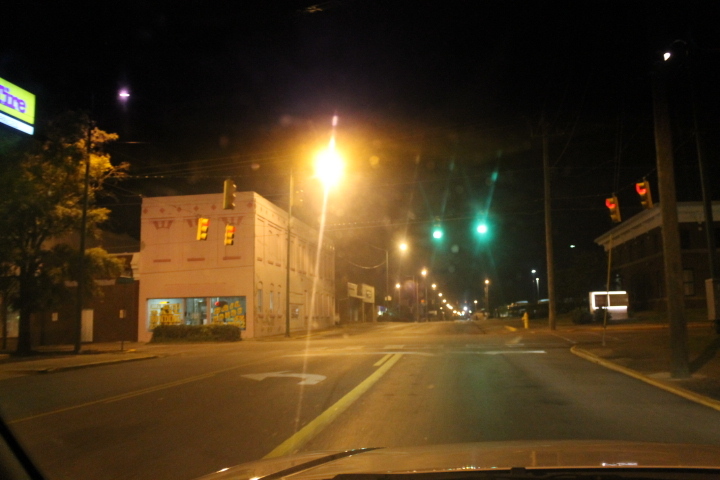 The first light is Quintard Ave. @ Greenbrier Dear Rd. 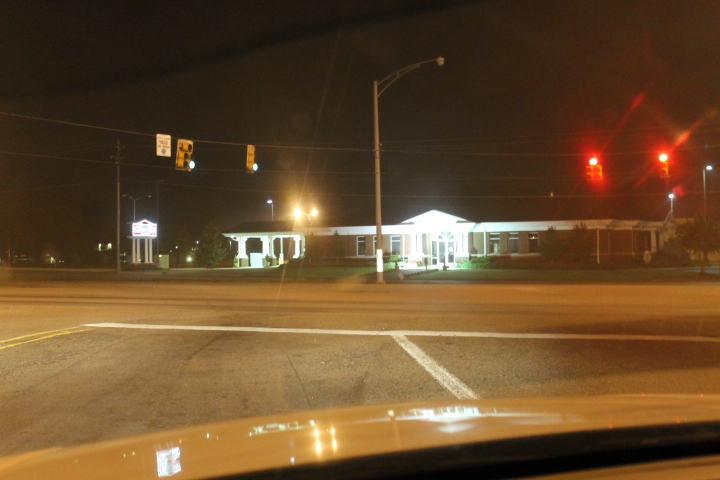 The Greenbrier side and the left turn signal from North Quintard onto Greenbrier is malfunctioning. 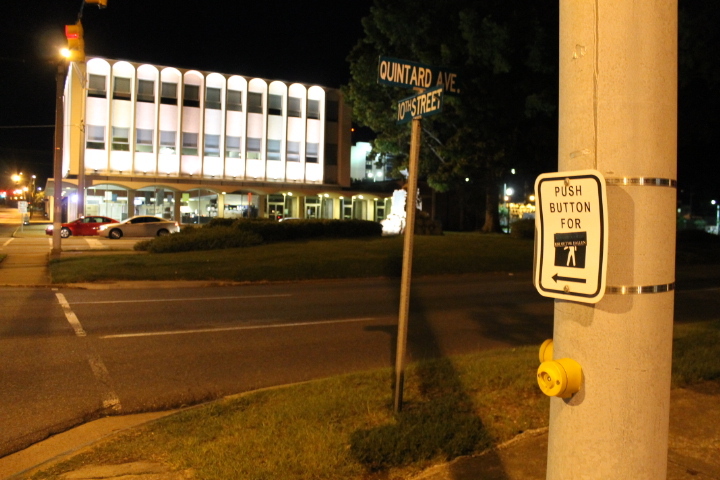 The next light is Quintard Ave. @ 8th St. (AL-202) The light for 8th St. is malfunctioning. I feel bad for the traffic that has to sit there for no reason. Having an ambulance going through a malfunctioning traffic light is not safe! 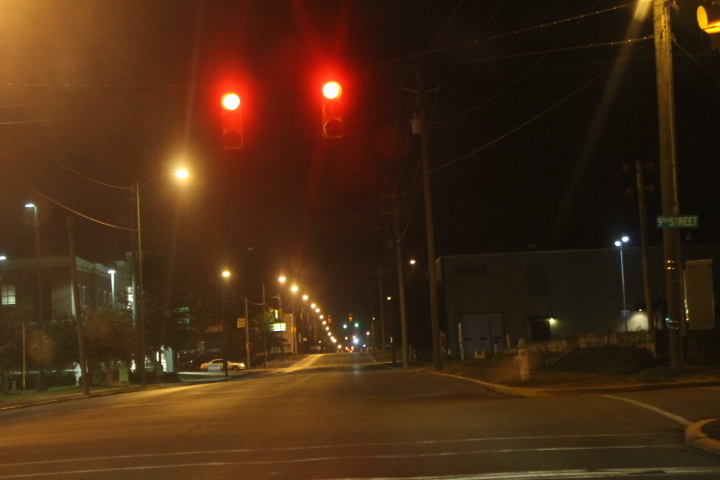 The next light is 10th St. @ Quintard Ave. 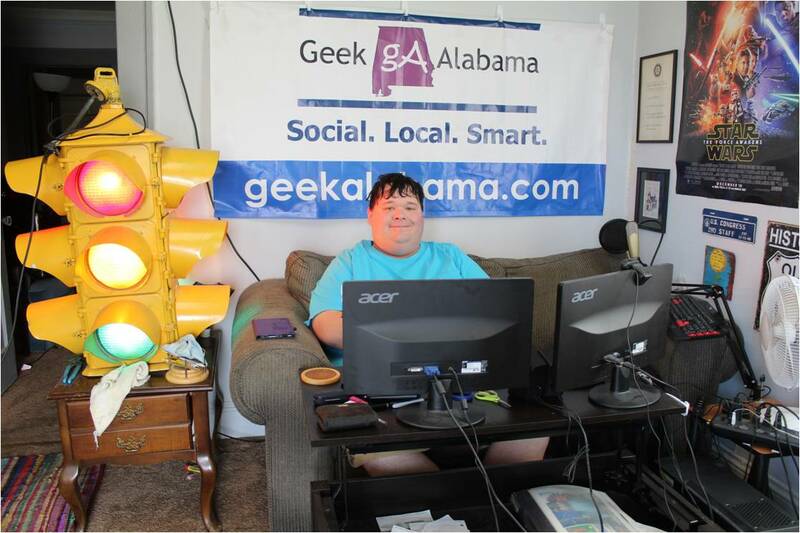 The ped signal is malfunctioning. In the photo below the button is pushed in. This button is causing the malfunction. 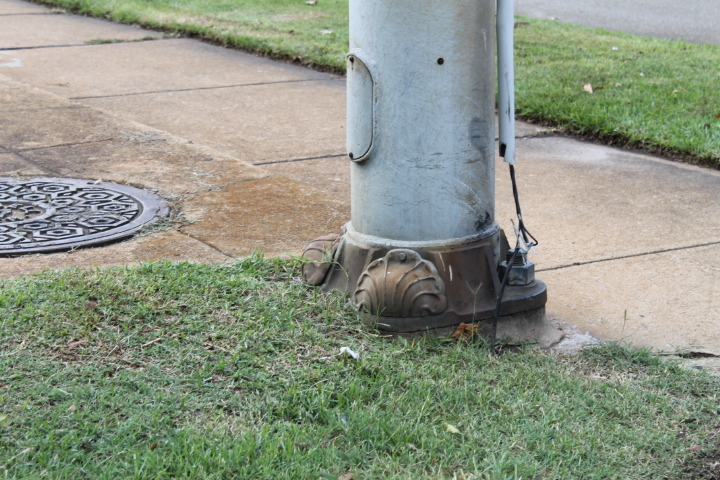 I also caught this at the 10th St. @ Quintard Ave. Intersection. I hope this wire is not electrified. 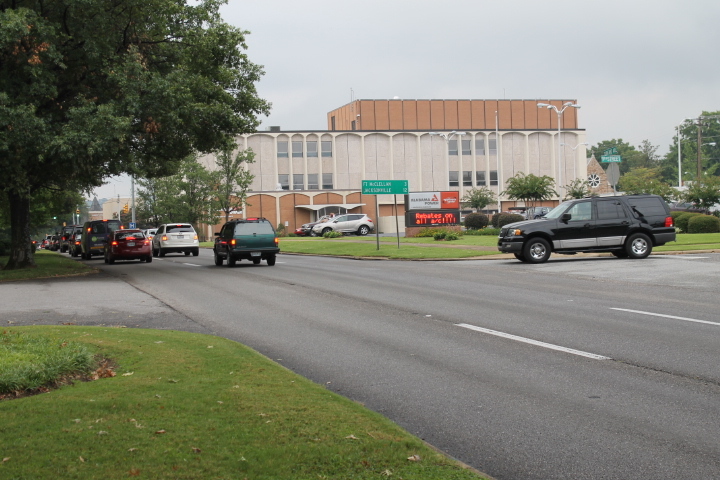 I feel bad for the traffic backed up at this intersection as well. 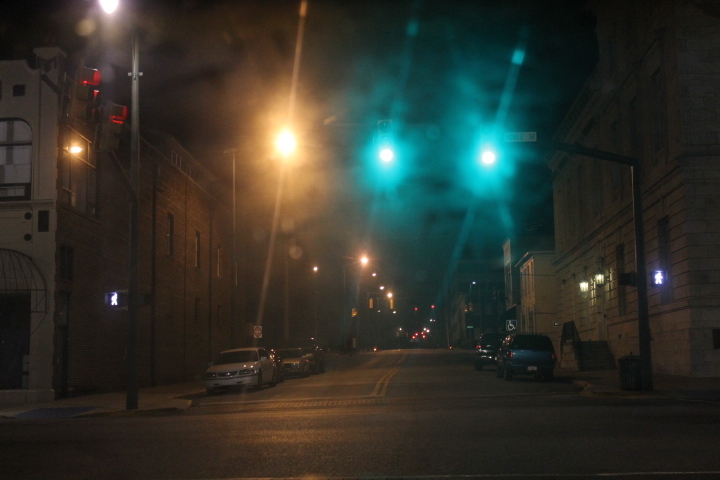 The next light is Noble St. @ 11th St. 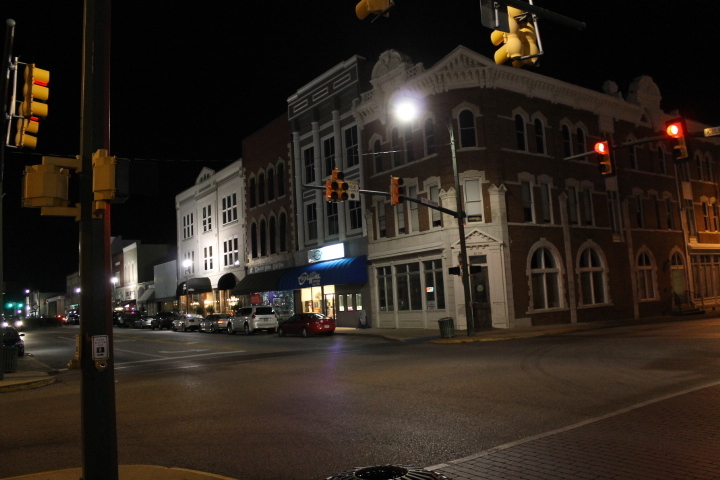 This light goes into blink mode overnight while the other lights on Noble St. in downtown stay on. With all of the bar traffic including the car below that stopped on the yellow blinking side, this is very dangerous! 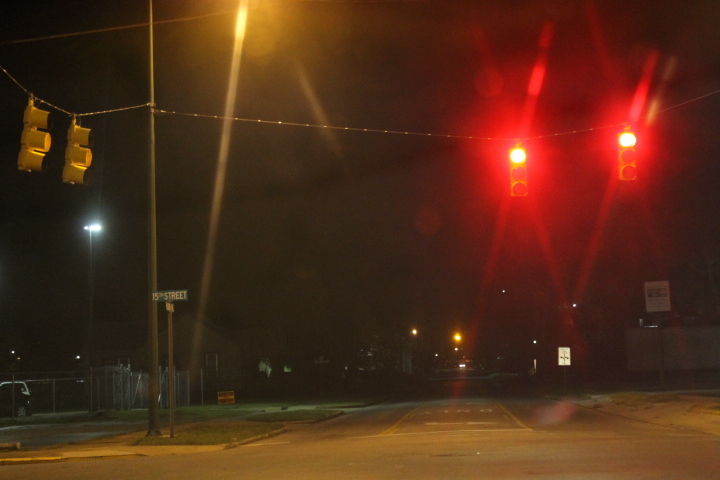 Here are a couple of other lights on Noble St. that needs checking. 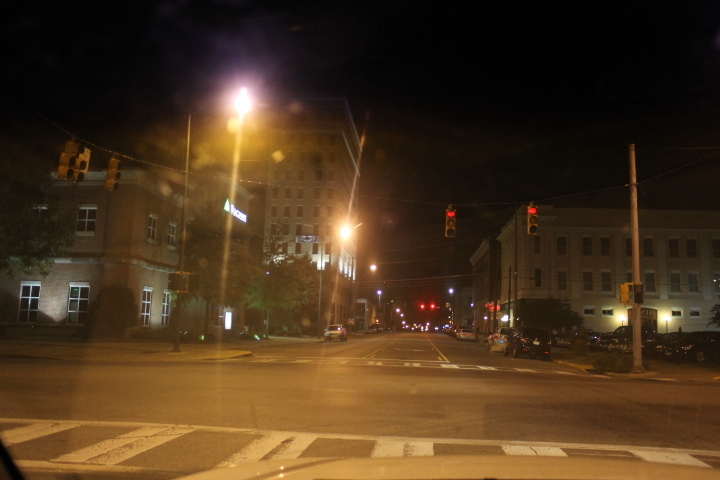 Noble St. @ 15th St. Left turn signal is broken. 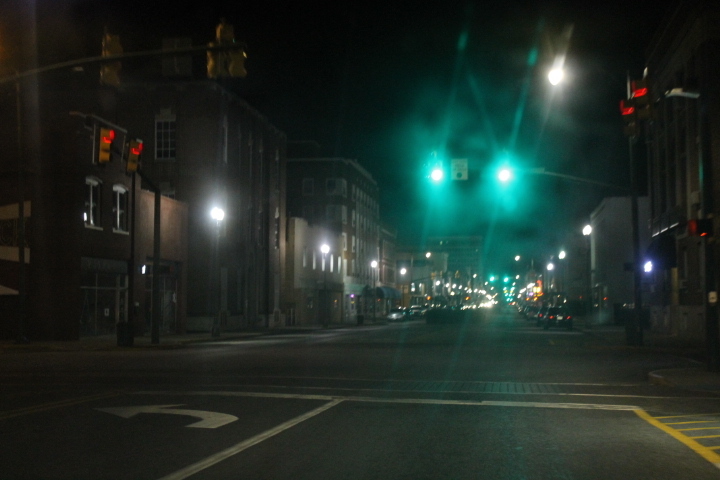 Noble St. @ 14th St. Ped signal on throughout the night. 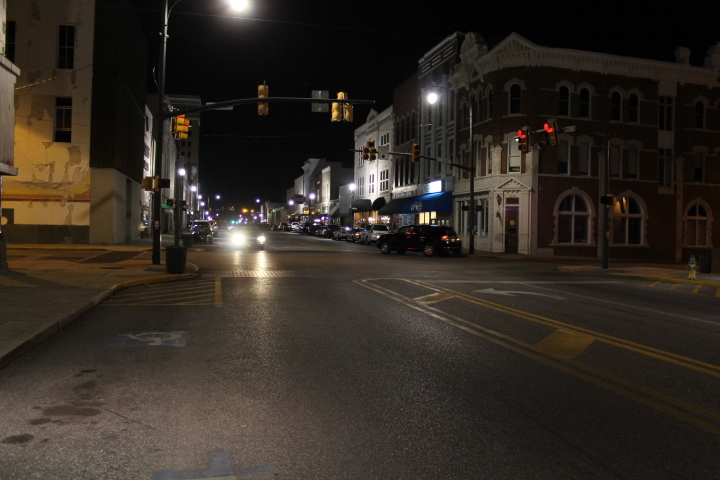 Noble St. @ 10th St. Ped signal on throughout the night. 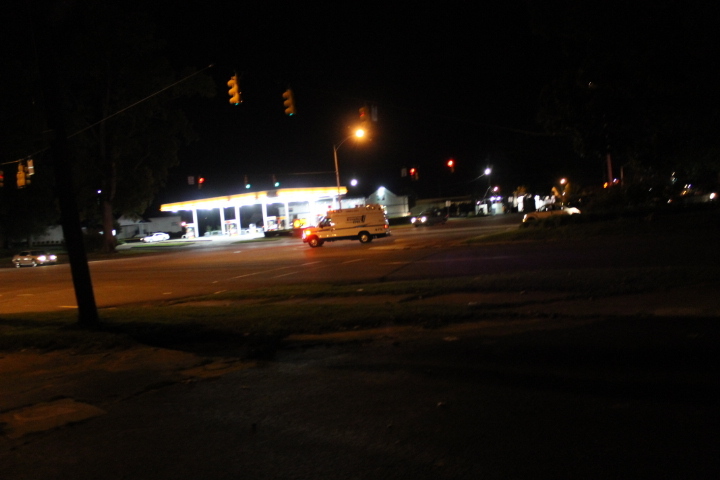 Noble St. @ 12th St. Ped Signal malfunctioning. Here is another thing I ponder. 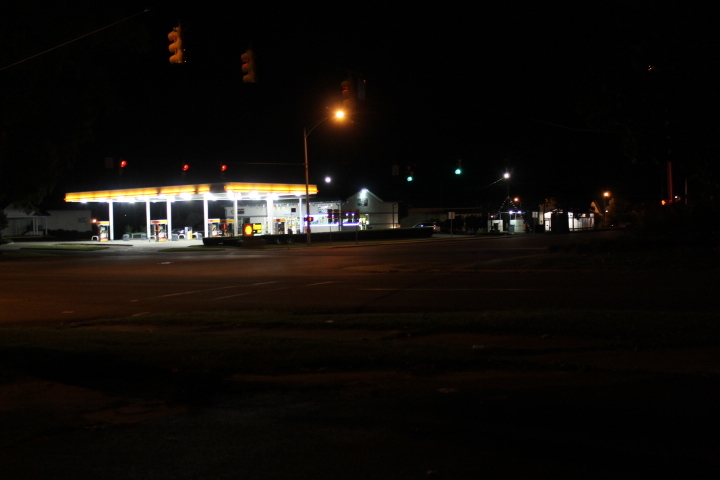 Why are some lights on Wilmer Ave. on flash mode overnight while some lights are on 24/7. 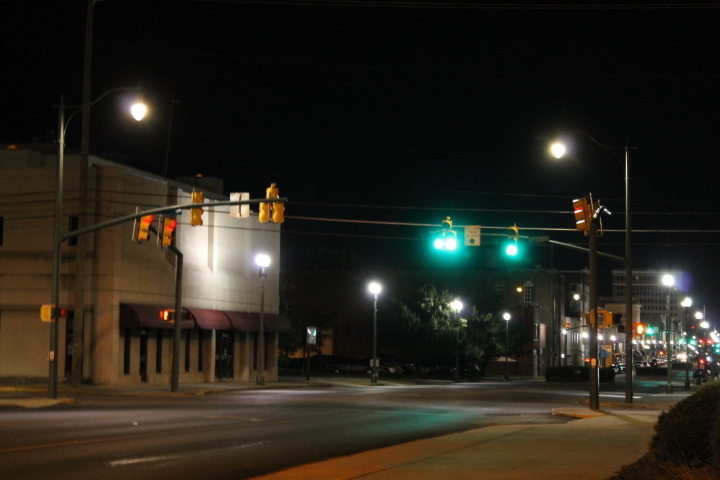 The lights at 8th St., 9th St., 11th St., and 15th St. are on 24/7 while the other lights go into flash mode overnight. 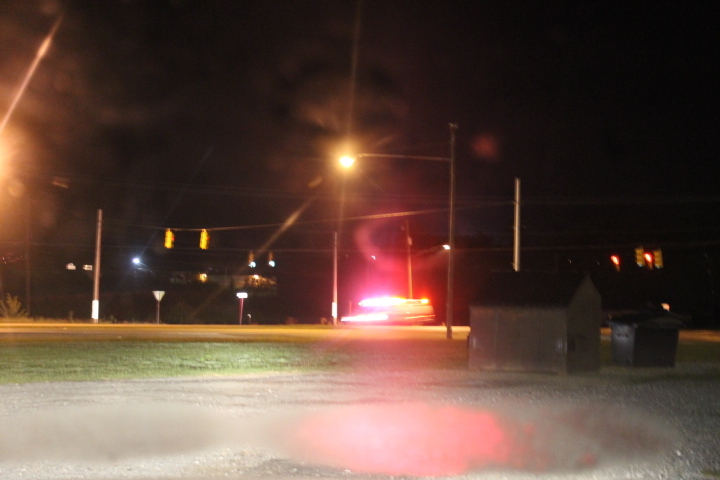 One other light that has been malfunctioning for way too long is at U.S. 431 @ Lindale Dr./43rd St. Someone get this light fixed please! At least re-time the light until the bypass is completed. 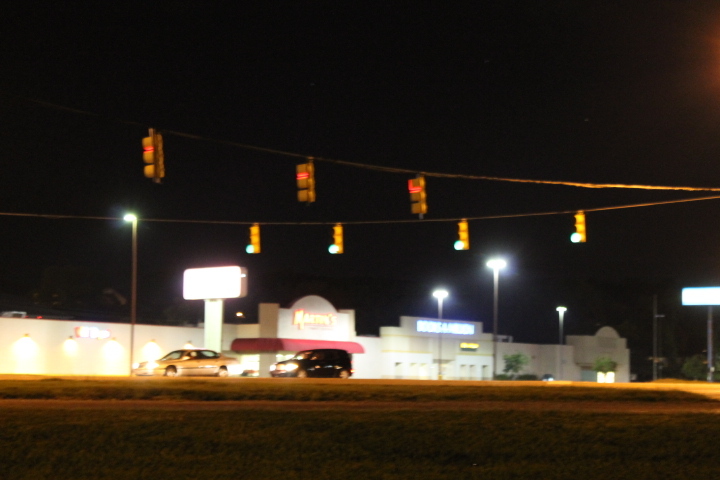 Here are some lights in Oxford, AL that needs fixing as well. 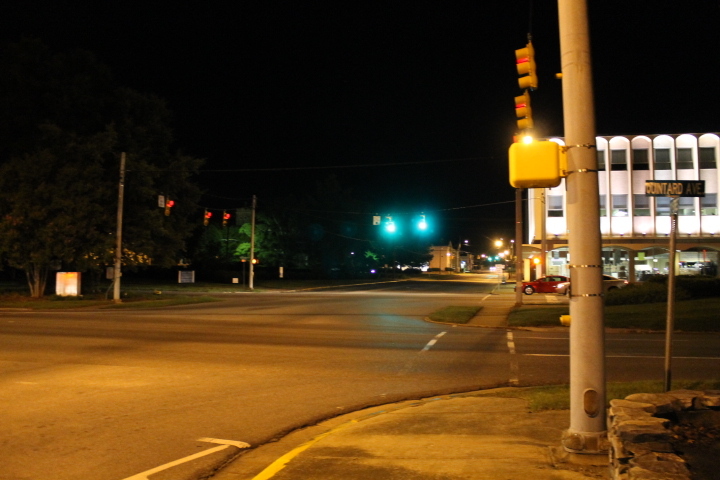 The first light at Hamric Dr. (US 78) @ Quintard Dr. (AL-21) has several sensors that are malfunctioning. 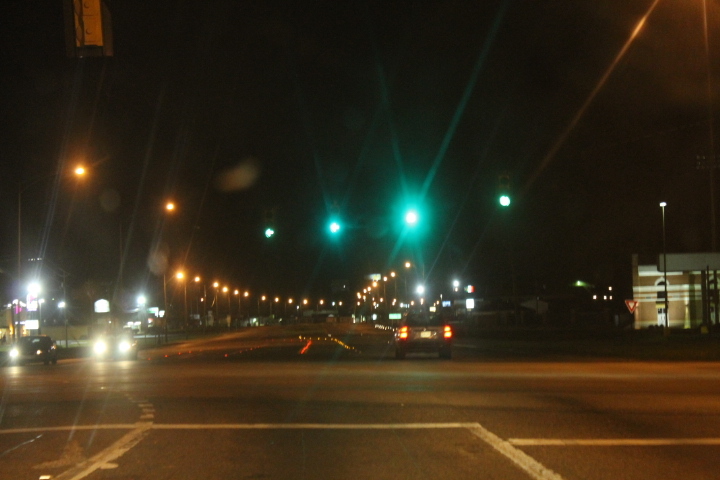 The light at Hamric Dr. (US 78) @ Snow St. needs checking as well. 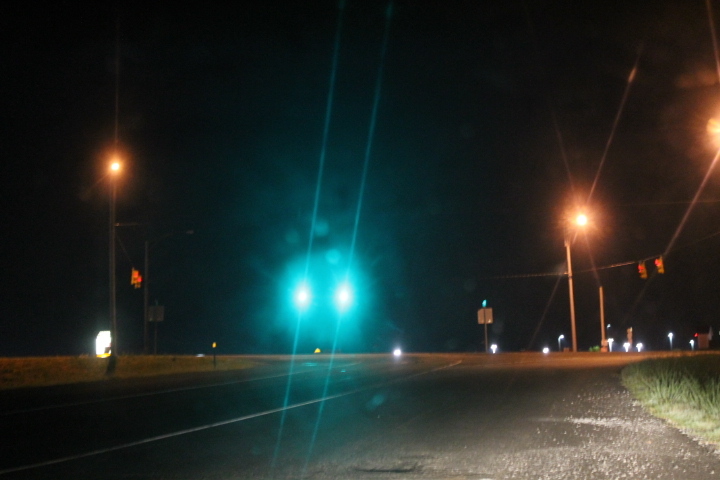 The sensor on the left lane does not work and the light will only turn when a car approaches the right lane sensor. Left lane sensor does not work. 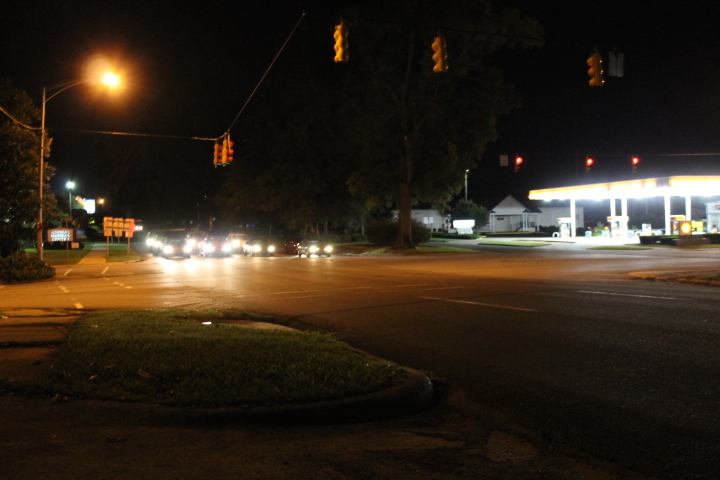 The other lights in Oxford that needs to be checked are along Leon Smith Parkway at the I-20 eastbound exit 188 ramp and at the Oxford Exchange.